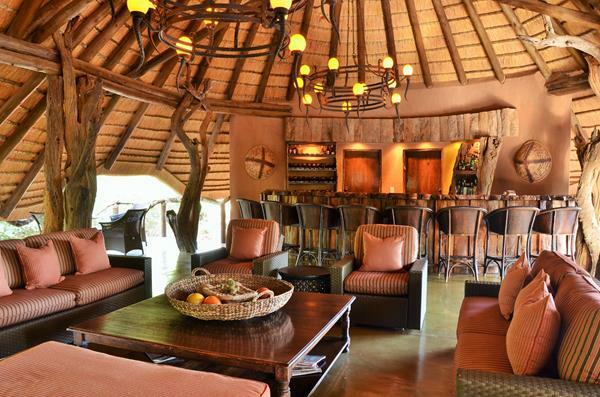 Motswiri Private Safari Lodge is located in the centre of Madikwe Game Reserve’s western region, nestled under a canopy of mature Leadwoods for which Motswiri is named. 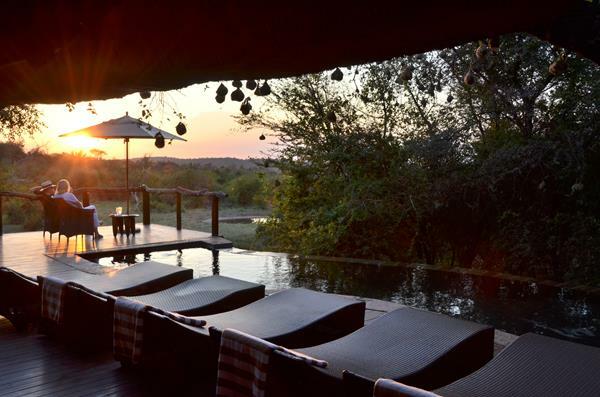 This secluded upmarket Lodge gives visitors the chance to enjoy an elite African safari encounter with some of the best views in game-rich Madikwe. 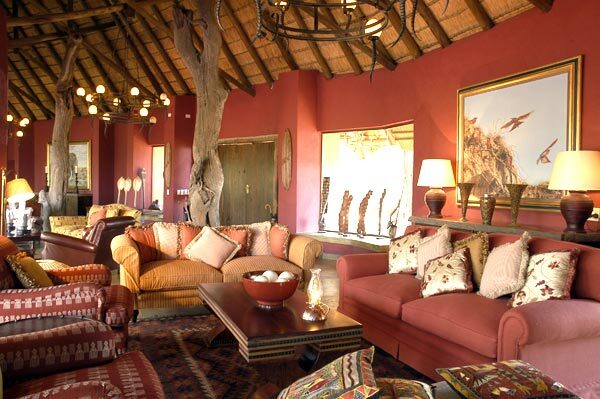 Family-friendly Motswiri can accommodate up to 16 visitors in five luxury thatched Bush Villas and one dedicated Family Villa. 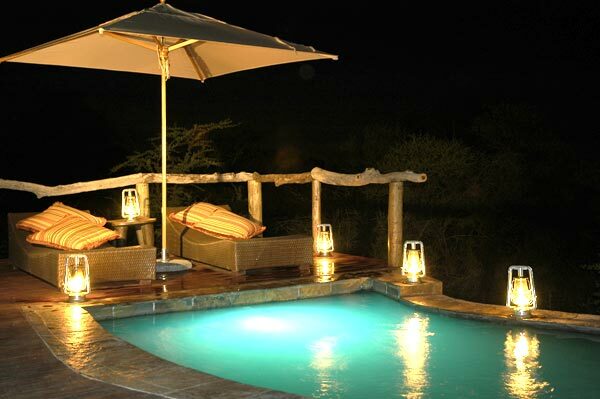 The five beautifully-appointed Bush Villas are set around the Lodge swimming pool overlooking a busy waterhole. 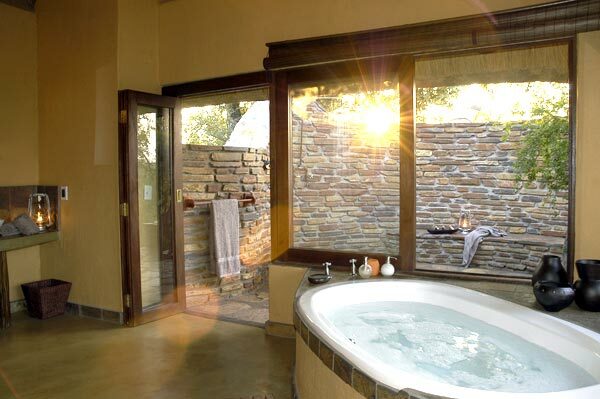 Each generous Bush Villa features a bedroom with a double-sided gas fireplace, en- suite bathroom with indulgent corner bath, toilet, and double basins, an outdoor rock shower, air-conditioning, ceiling fans, and wrap around viewing deck. 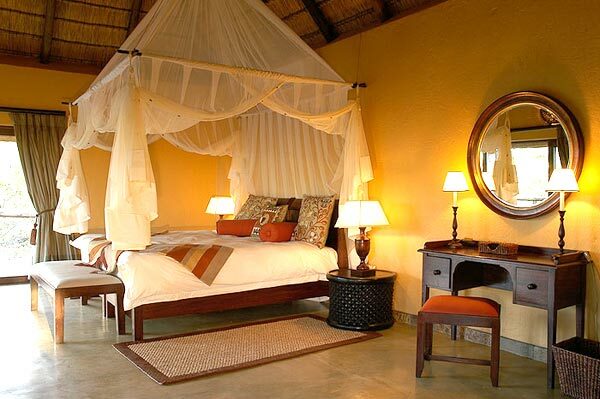 The Villa suites classic Afro-centric style, natural textures, neutral palette plus the multiple retractable glass doors and windows work to enhance the feeling of utter peace offered by this wilderness paradise. 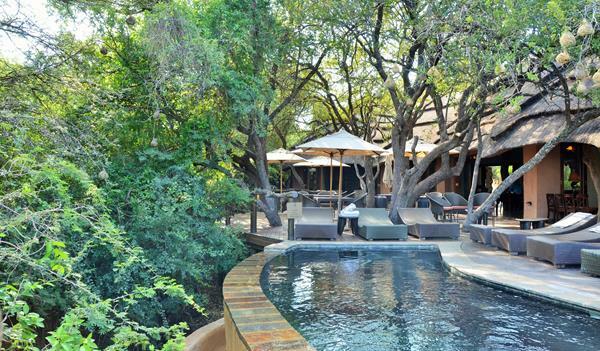 The private Family Villa is positioned some distance from the main Lodge building to afford visitors the possibility to experience the breathtaking splendour of this bushveld haven in total solitude. 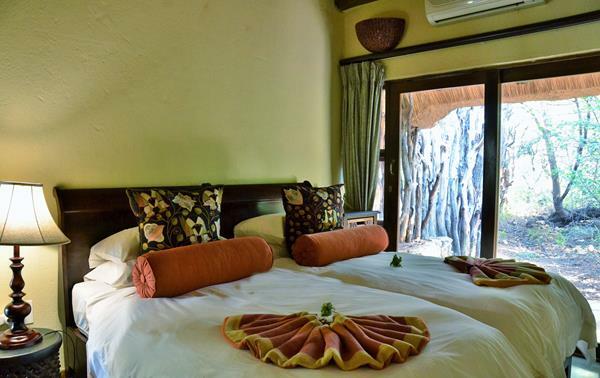 The Family Villa can sleep a maximum of six visitors in three air-conditioned bedrooms making it perfect for families and small group getaways. 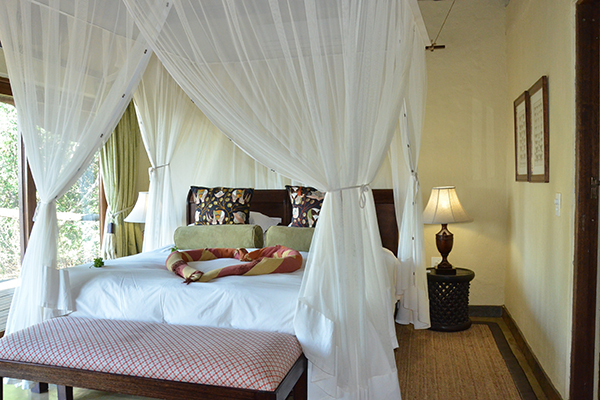 Each bedroom has air- conditioning and an en-suite bathroom with outdoor showers. 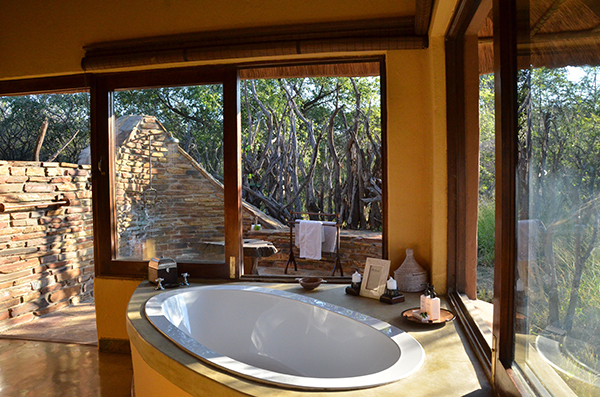 Additional amenities include a spacious lounge opening onto an elevated wooden verandah complete with plunge pool and Boma. 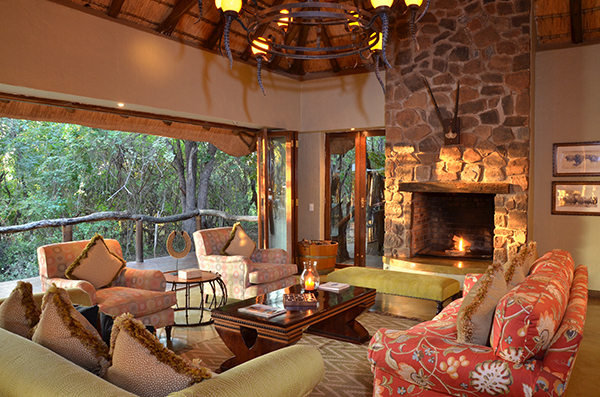 The tastefully decorated main Lodge building boasts a separate sitting area, a dining room as well as an inviting bar, each with a fireplace where you cosy up on chilly winter evenings. 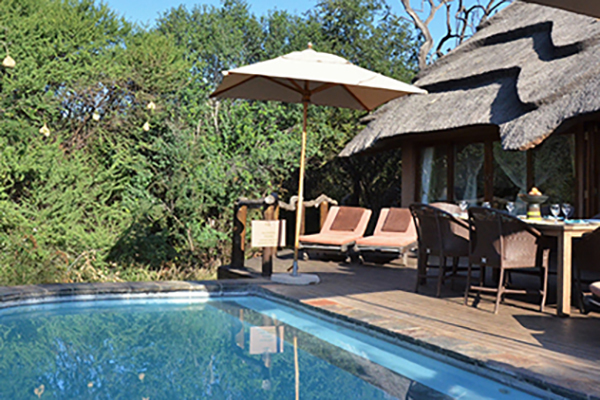 The cool of the communal infinity swimming pool is just the ideal spot from which to enjoy the non-stop parade of resident wildlife meandering down to the waterhole for a refreshing drink. 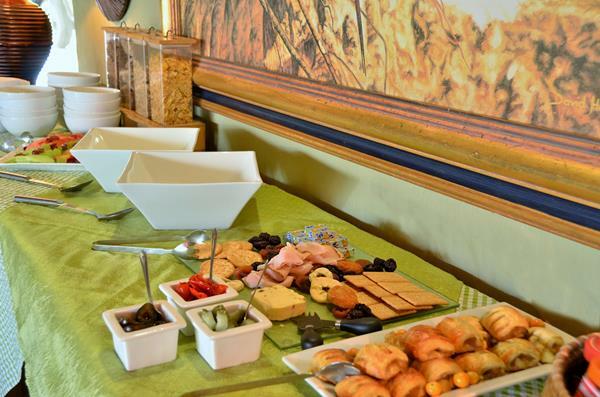 In keeping with its impeccable hospitality and personal service, Motswiri’s cuisine is every bit as sublime as the glorious natural surroundings. 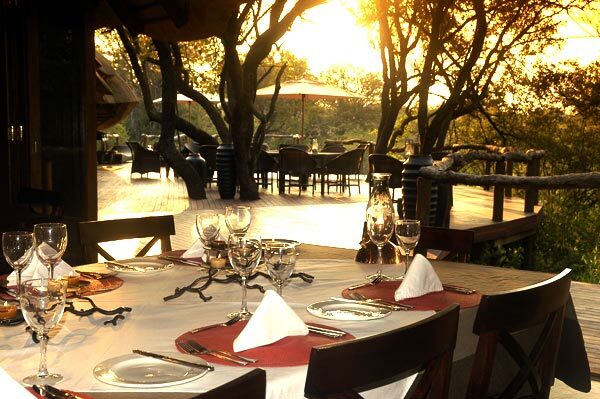 Meals are served in the Lodge dining room, outside under the grove of Leadwood trees or around the Boma’s roaring fire on balmy summer nights. 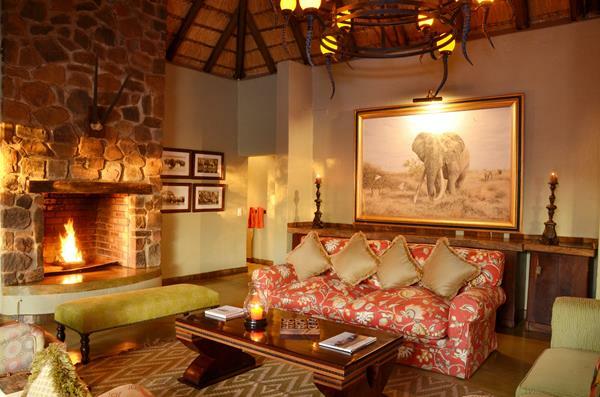 And because an excursion to Madikwe is all about the incredible diversity of fauna and flora, Motswiri Private Safari Lodge provides visitors every opportunity to explore the wonders of this magnificent Big Five Game Reserve. 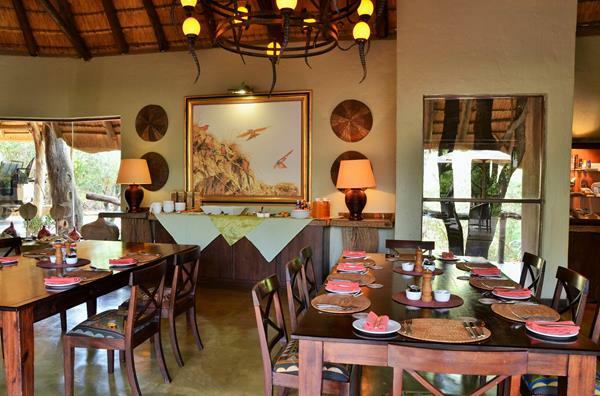 Activities include morning and afternoon/evening game drives in specially adapted Landcruisers, superb bird watching, and nature trails accompanied by expert rangers. 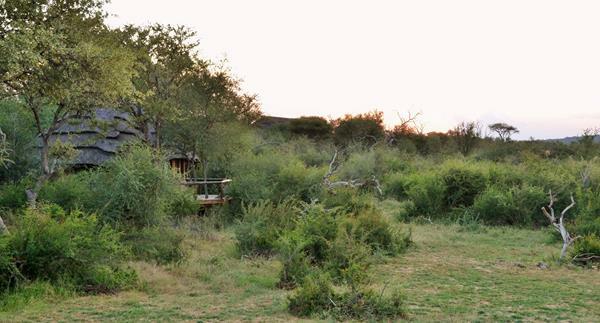 Mini children’s game drives can be arranged by prior request for junior visitors under six years who are unfortunately not permitted on regular game drives. 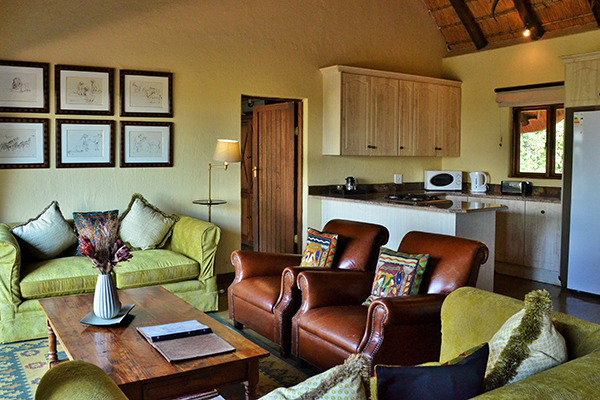 The Lodge also makes a babysitting service available at an extra cost. 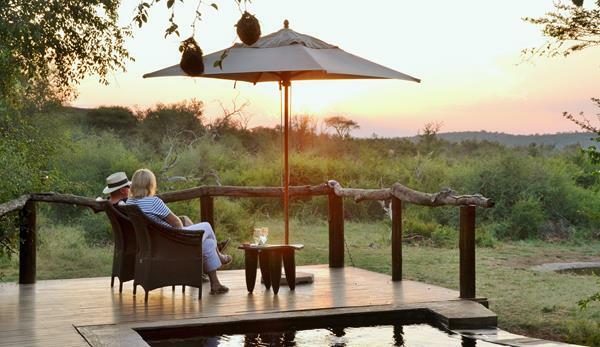 Motswiri Private Safari Lodge can be booked on an exclusive-use basis making it a first- class destination choice for intimate corporate retreats and once-in- a-lifetime safari breakaways with friends and family. 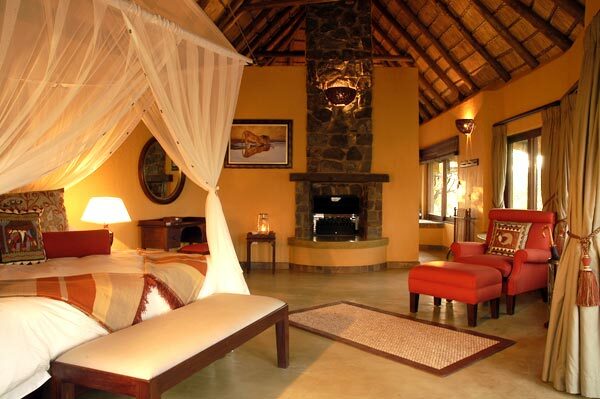 *Guests may arrive any time from 14:00, and rooms are to be vacated by 11:00am. 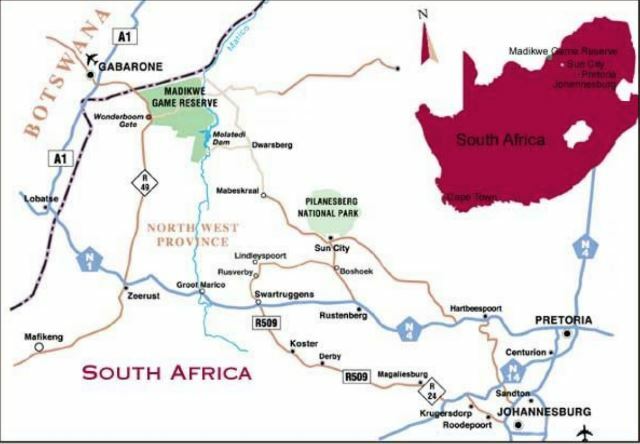 Daily scheduled FEDERAL AIR flights from O.R.Tambo Airport (JIA). 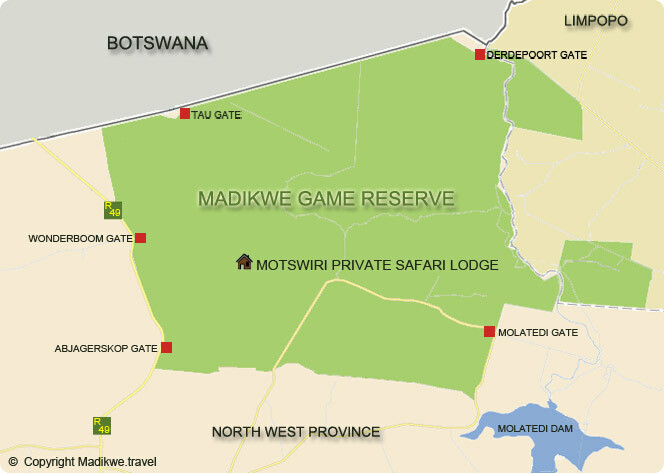 Fly in fee into the Madikwe Reserve; please settle in camp. Gates open @ 06h00 & closes @ 21h00. 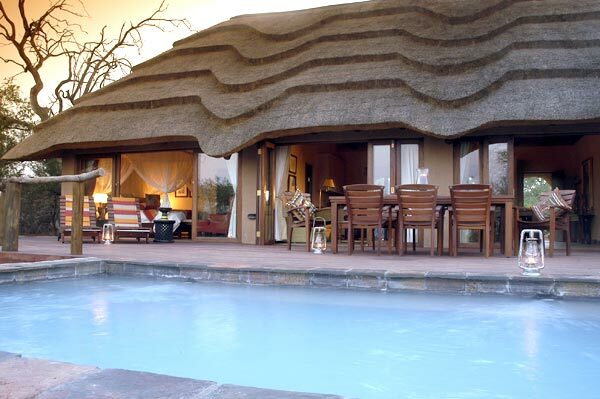 Guests may arrive any time from 14:00, and rooms are to be vacated by 11:00am.